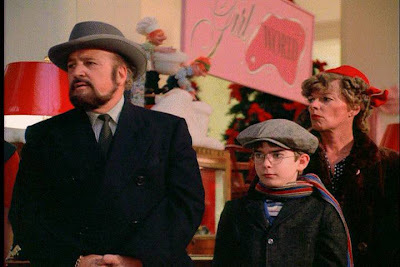 This feature film was initially released into theaters in 1983 but has since earned its top spot as a favorite Christmas tradition because of its repeated broadcasts on television. In fact, it has been airing as a 24 hour marathon on Christmas every year since 1997 on one of the Turner Broadcasting channels. This popularity as a favorite holiday tradition can be measured as the annual 24 hour marathon continues to achieve higher and higher TV ratings with each successive year. That’s not bad for a movie made almost 30 years ago! It’s no wonder that we love this holiday movie. 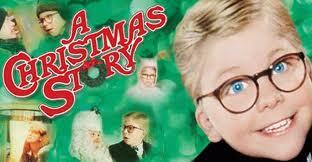 The story has nostalgia built right in to it with a narrator providing adult reflections of his childhood Christmas. It doesn’t matter if viewers are aware that the story takes place sometime in the 1930s or ‘40s, long before most of us were alive. The movie effectively creates a sentimental, familiar time within the past--whether you recognize the references to the radio program Little Orphan Annie and commercials for Ovaltine or not. 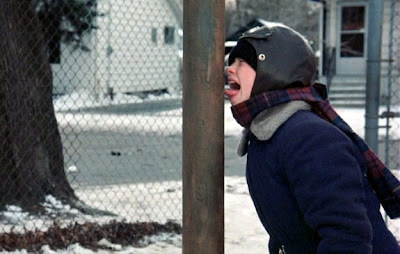 The movie is also just quirky enough to charm the coldest of hearts from the scene where the boys triple dog dare their pal to touch his tongue to the frozen metal pole through the scene where the mother screams at the Chop Suey Palace’s Christmas duck served with a smile on its face. This movie often seems more like a collection of short vignettes rather than one narrative sequence. 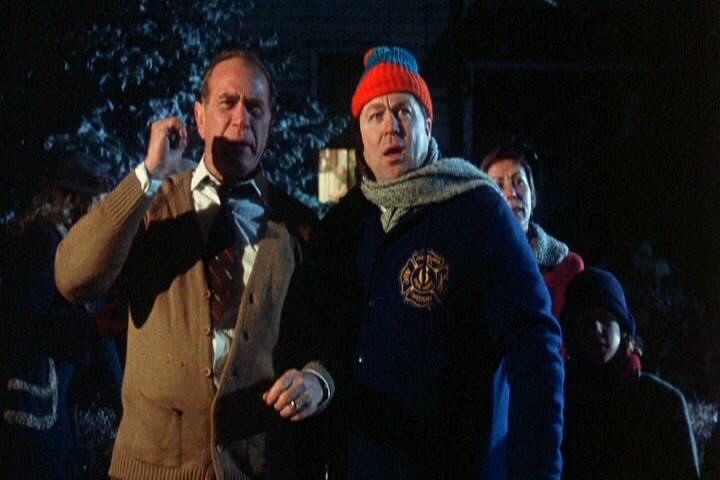 That's because the film is based on a collection of short stories written by Jean Shepherd, first published in 1966. But if there’s one overarching theme, it is probably the fear of not getting what you most want for Christmas. A very human story that everyone, whatever your age, can relate to. What's your favorite scene(s)? Mine is the scene where Ralphie scrambles back up the slide to speak with the department store Santa--only to be told that his Christmas wish is denied with Santa pushing him back down the slide by placing his boot on Ralphie's head! This movie’s story is based on the book “In God We Trust, All Others Pay Cash” written by author and radio personality, Jean Shepherd. Not only is it Shepherd himself who provides the voice of the narrator but he also appears as the man in the department store in line to see Santa Claus who points out to Ralphie where the end of the line is. The cast includes: Peter Billingsley as Ralphie; Darren McGavin as the father; Melinda Dillon as the mother; Ian Petrella as Randy; Zack Ward as Scut Farcus; and Scott Schwartz as Flick. 4 out of 4 stars. You can see this movie on the big screen on December 10th at 10:00 AM, at the Capitol Theatre, as part of the “Yuletide on the Near West Side” celebration. The Capitol Theatre has partnered with A Christmas Story House and Museum for a special showing of this shot-in-Cleveland family favorite. Admission is just $5. Special door prizes provided by A Christmas Story House and Museum will be raffled off before the show.